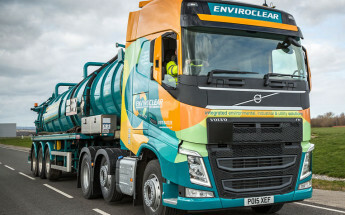 Enviroclear can supply jetting vehicles to cover blockage clearance, by using Transit sized Van Pack jetting vehicles, through to Combination jetting Units to cover all size and dimensions of drainage / pipe work and gully’s to allow cleaning and desilting, along with carrying out pre-planned maintenance work as required. 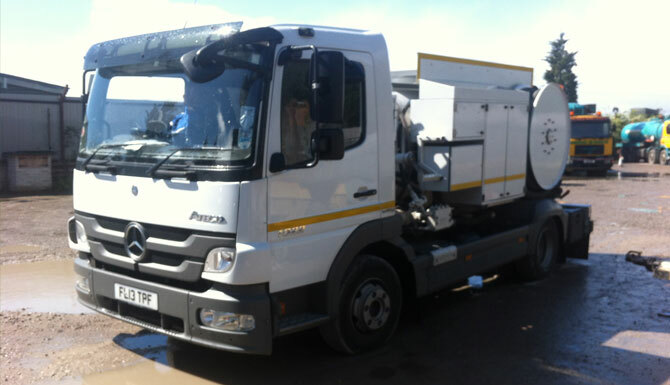 The combination units can offer the dual role of being able to clean and also remove waste from drainage systems using the vacuum system on the vehicle. Waste can then be transported to an approved disposal site in accordance with our waste management licence. Small tanker units can also offer septic tank / fat trap cleaning and disposal. Enviroclear have invested significantly in CCTV technology to deliver the full range of CCTV services and capabilities. 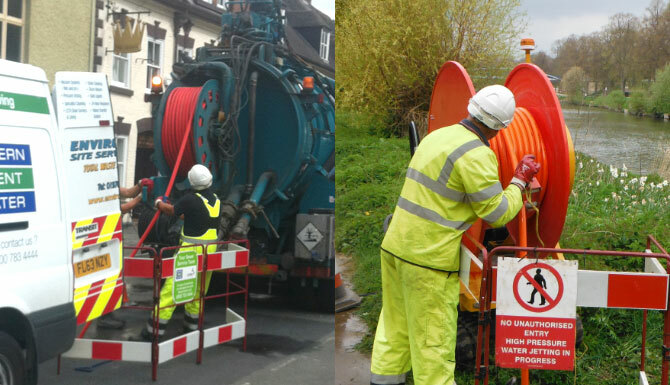 Our CCTV survey equipment can survey drains ranging in diameter from 75mm to 3000mm and up to 200 metres in length on and off road. Upon completion of the CCTV survey, our clients are supplied with a colour DVD and a comprehensive Wincan version 8 report, with recommendations prepared by a fully qualified engineer (os19x). The motorised crawler unit are designed to drive through larger diameter sewers, pipes and culverts. They can survey pipes up to 3000mm in diameter and have ‘Pan and Tilt’ camera heads which enable the surveyor to examine possible defects or even look up lateral connections. It is our commitment to continuously invest in revolutionary technology. Our CCTV camera units are an important aspect of this investment and are an extremely popular service we offer to our clients. With the use of CCTV, our engineers and clients alike can inspect the internal condition of drainage infrastructure and determine the location of any blockages. With our state of the art camera units, WinCan software and our experienced engineers, we can offer you the most efficient, professional service possible 24 hours a day 7 days a week. Our CCTV operators are trained and accredited to OS19X for piped drain and sewers and OS21X for bricked sewers. These accreditations are a pre-requisite for all operators who prepare CCTV reports for long term records purposes for all the U.K. Water requirements. Our Teams are also highly trained to enable them to work in confined Space Environments and all hold NRASWA certificates for all aspects of street works. Should the initial inspection identify a problem that requires immediate rectification then we have our own fleet of specialist vehicles available ranging from domestic jetting vans who are also available throughout the year to industrial super combination units, vacuum tankers and DISAB. 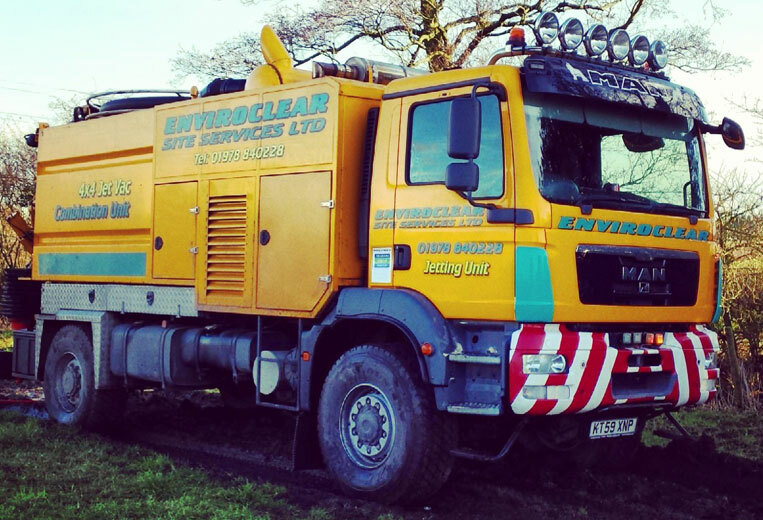 We also specialise in off road cleansing with the use of remote hose reels alongside the off road cctv technology. 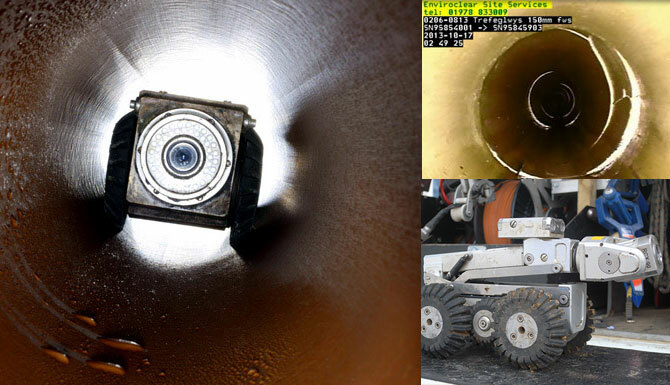 Although with the CCTV technology at the stage that it is at, there are still inspection situations where the traverse of a large sewer or tunnel remains the only suitable option to gain useful data on the condition of the structure. 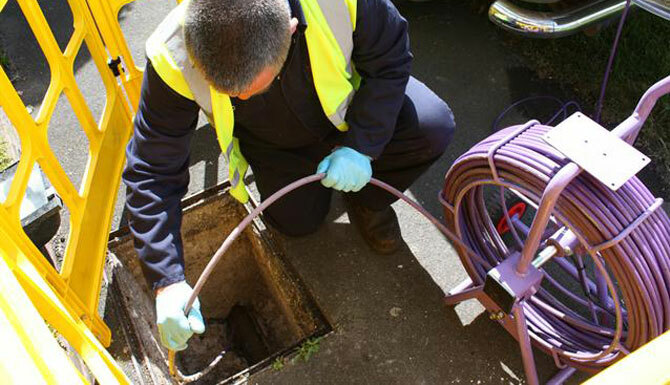 In the case of very large sewers and tunnels or where access points are a great distance apart, inspection by CCTV methods just isn’t an option and the only alternative (assuming not undertaking the inspection isn’t an option) is to introduce a traverse team into the sewer to carry out the survey. Our new venture is CIPP Lining (cured in place pipe). This is a method of repairing drains and sewers by inserting a sleeve inside the pipe which once cured adds strength to the pipe and also by making it watertight. Any size of pipe work can be repaired using this method. Hot cure and ambient cure methods are used on both Polyester and Epoxy resin. This method of repair is the most financially economical. A resin impregnated felt is pulled into place and inverted using an air supply. Upon curing, the inversion tube is withdrawn and this creates a pipe within a pipe. If there are any incoming lines these can be exposed using a lateral cutter. Van Pack jetting vans: These units are ideal for small domestic drainage problems, Each unit carries a push rod CCTV system so we can identify any potential problems with the sewer in a single visit. These Response Units are available 24/7. 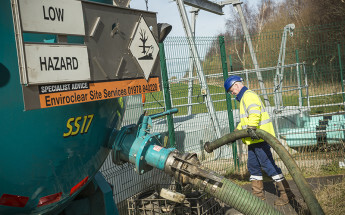 These are possibly the most versatile jetting units available in the industry today, each has a low volume jetting capability which can deal with blockages and clean sewers in diameters up to 225mm but they also have a suction facility which means that any waste can be instantly taken away from site. Again these units carry a push rod CCTV system so problems can be identified and rectified in one visit. All of our units come complete with the latest cutting nozzles including ‘Warthog’ cutting jets- these can remove most types and volumes of obstructions and intrusions including Tree Roots, Encrustation, Heavy Grease deposits and many other hardened deposits.